Being 10 years old means you live in the world of video games. Every kid this age is gaming. My son gets an hour or so to play each day of the weekend. During the weekday, he has to finish his homework first. Which usually means no playing at all during the weekday. He gets a lot of homework in 4th grade! 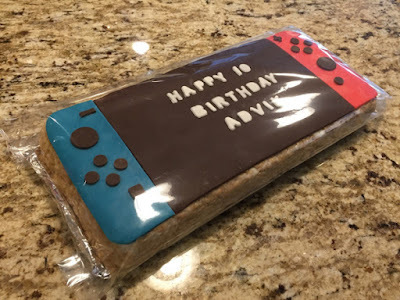 My son's 10th birthday party was "game on." His friend also had a gaming birthday party. 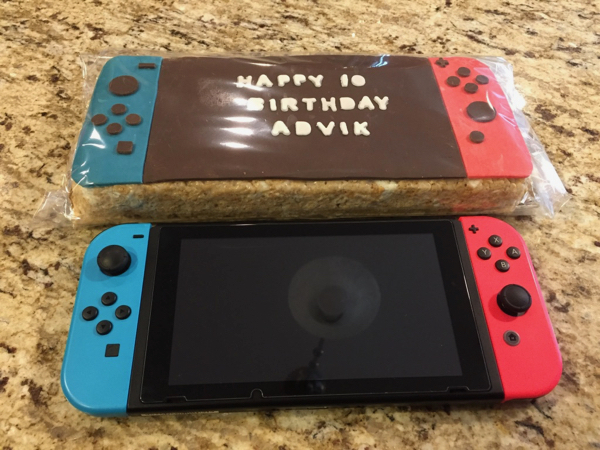 I knew his friend owned a Switch and I knew for a fact he LOVES rice krispie treats. 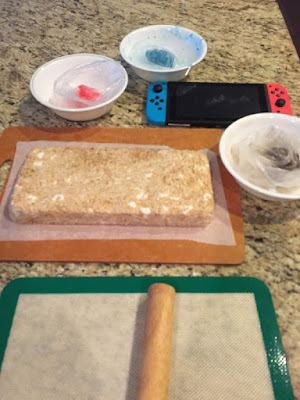 We actually made him rice krispie treats on his last birthday to accompany his gift. I sort of wanted to do something else like cookies but rice krispie treats were so much easier, especially if I only had to decorate one big one. I was feeling pretty exhausted from baking lately. 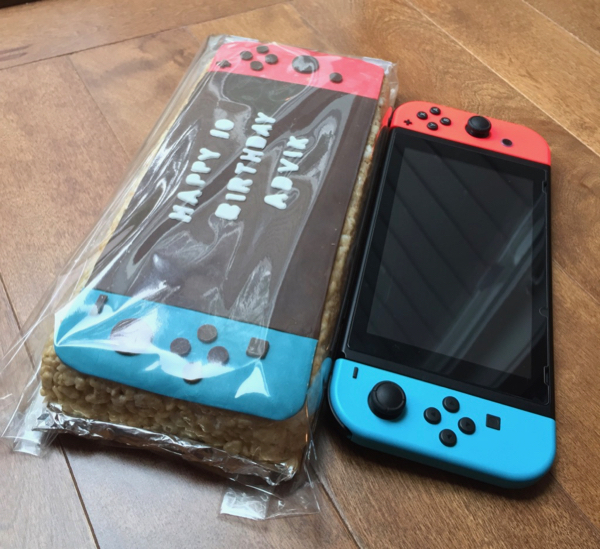 So at the last minute, I made him a Nintendo Switch rice krispie treat. 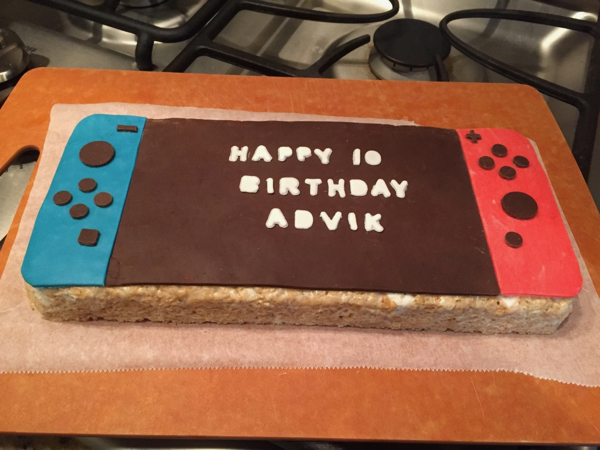 I found my son's Switch and basically copied it as much as I could. I was very happy with the colors I was able to create using candy melts and food coloring. I tinted my molding chocolate darker using black food powder. Cutting the little bits for the controls were harder than I anticipated. Especially that + plus sign! Omg. Well, the perfectionist in me made it harder anyway. In the end, it looked awesome and definitely too pretty to eat so it was a good thing we were giving it away! Lol. My son's friend loved it. He even wrote me a thank you letter the following school day. Aw. His mother, who I volunteer with at school, also wrote me a thank you email. What a sweet family!